What: Most breakfast sandwiches get their magical hangover-curing power from bacon, or ham, or something else appropriately meaty. 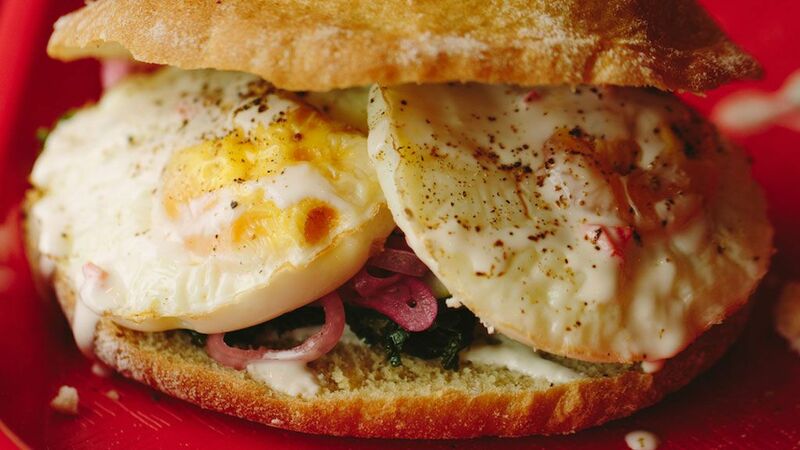 But that doesn’t mean vegetarian breakfast sandwiches can’t be awesome, too. At Playska, a Balkan-inspired sandwich shop in Cambridge, the weekend-only Feta, Kale, & Egg is your new best friend — two eggs, kale, feta, and a killer habanero remoulade. Wash it down with: An iced coffee from Karma Coffee should do nicely.